Custom swim Shorts. Design Your Own Board Shorts. Printed Beach Shorts. Custom swim shorts are a great way to show off your own designs and artwork in a variety of new settings. From on the beach, to by the pool, even to fantastic trips abroad, make sure you take your own personalized style with you wherever you go. Design your own swim shorts, made from a breathable, waterproof material, these swim shorts are designed with an elasticated waistband, functional drawstring and side seam pockets. Custom swim shorts are the perfect way to show off your designs and artwork on a new, versatile canvas. From pool side to seaside these custom surf shorts are ideal; 100% waterproof, breathable and fast-drying for when you want to take a swim, lightweight and comfortable, with side seam pockets for if you want to lounge around on the beach. 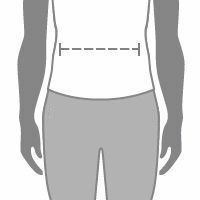 Design your own swim shorts in a range of sizes from 2XS to 4XL for the next level in wardrobe customization. Custom swim shorts are not just for swimming. They are 100% waterproof and can be used for other water sports, design a pair of custom surf shorts to ride the waves in style. Maybe you prefer the quiet life? Printed beach shorts are great for lounging around and soaking up the sun, without concern about getting a little splashed. When you design your own swim shorts you can have any use in mind. Want to build your Fashion brand? 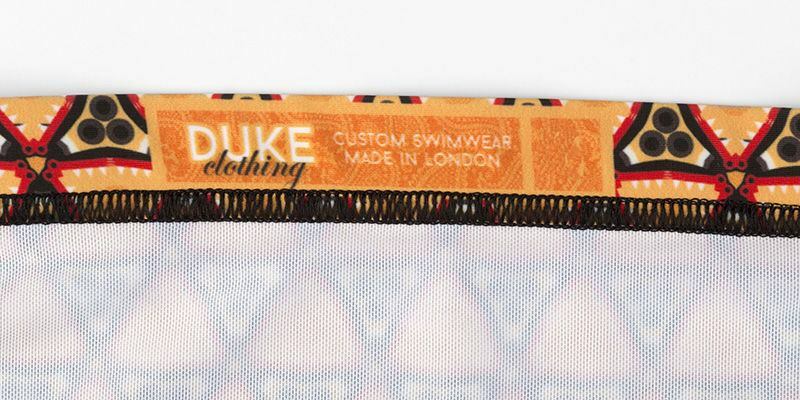 Then add your label to your custom swim shorts, and have your brand name or logo added to the finished garment. Co-ordinate your swim trunks with a custom towel, and design your own flip flops so that you have all of your swim gear matching and customized by you. Bring exclusivity to a whole new level. You can even design a bikini or swimsuit to match, and really go the extra mile. Are these swim shorts form fitting? They are not, no. These swim shorts are looser fitting than swimming trunks would be, and are made from a breathable waterproof fabric rather than a lycra. There is a lining, in the form of mesh net briefs, on the inside of your custom swim shorts however the shorts themselves will not be tight fitting, and allow for movement. If these are waterproof, will I get too warm? These custom swim shorts are not only waterproof, but are also very breathable. This means that although they stop water getting in, they still allow for perspiration to evaporate out, making sure that you keep cool. Can I wash my swim shorts? You can wash your printed beach shorts on a standard 30° wash for easy care. They can even be tumble dried on a low heat, and ironed (again on a low heat) if you feel the need. As these swim shorts are made from a breathable waterproof fabric, they are very quick drying so we would recommend drying flat. Browse our range of custom swim shorts that have been designed by our Contrado Designers.